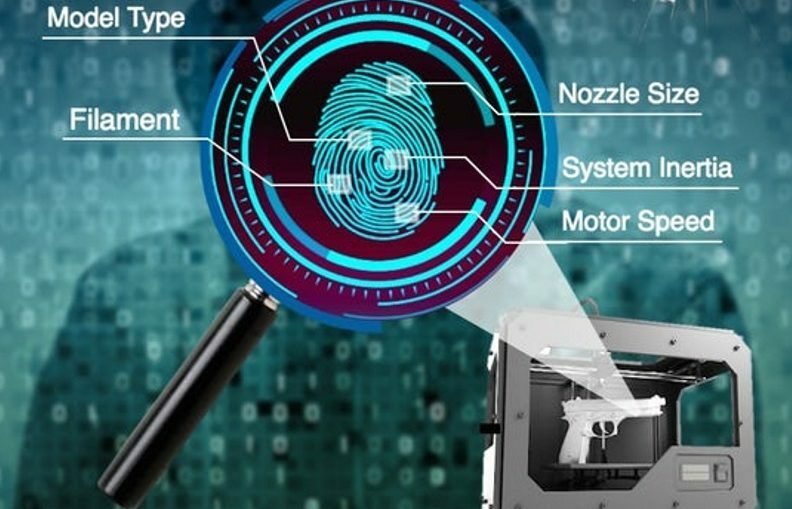 Although 3D printers are able to produce some amazing objects, they can also crank out counterfeit goods, illegal firearms, and other not-so-nice creations. Soon, if someone is suspected of making such items, it could be possible to match the objects to that person’s printer. Commonly-used Fused Deposition Modeling (FDM) 3D printers produce objects via a nozzle that moves back and forth, depositing a filament of molten thermoplastic in successive layers. Within each of these layers are tiny wrinkles known as in-fill patterns. These are supposed to be of a precise and uniform width, which is less than one millimeter. In fact, though, they’re typically off by 5 to 10 percent, due to variations between different printer models, nozzle sizes, and other factors. Led by Prof. Wenyao Xu, a team from New York’s University at Buffalo determined that these imperfections create a “fingerprint” that is unique to each individual 3D printer. For their study, the researchers started with 10 FDM printers along with four stereolithography 3D printers – the latter utilize lasers to selectively solidify resin, as opposed to depositing plastic from a nozzle, but they still leave distinctive in-fill patterns. The fingerprint of each printer was obtained from items printed by it. All 14 printers were subsequently used to produce keys. When scanned to analyze their in-fill patterns, those keys could be matched to the printer that made them with an accuracy rate of 99.8 percent. That rate remained the same when the test was repeated utilizing the same machines 10 months of use later, and dropped to a still-impressive 92 percent when the keys were intentionally damaged in order to obscure their patterns. The identification system, called PrinTracker, is being presented this week in Toronto at the Association for Computing Machinery’s Conference on Computer and Communications Security.